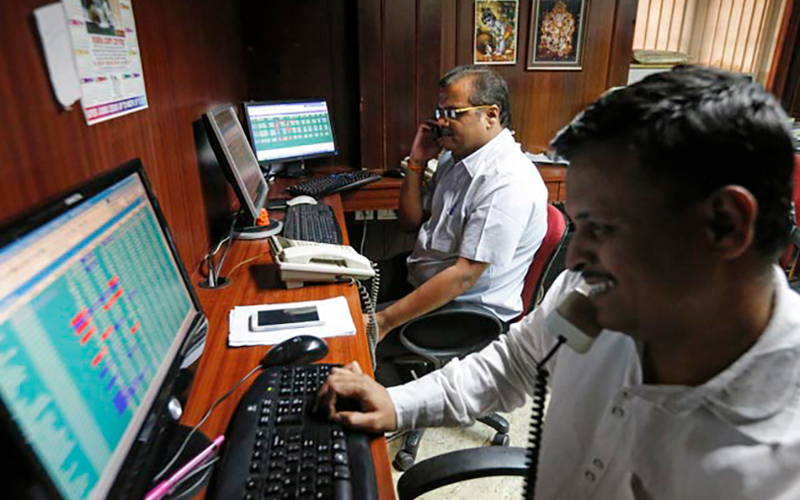 Indian shares rose on Thursday tracking Asian markets that hit two-year highs after the U.S. Federal Reserve signalled a more cautious approach to future rate hikes, but sentiment was subdued ahead of the expiry of monthly derivative contracts. The MSCI broadest index of Asia-Pacific shares outside Japan rose 1.06 percent to its highest since June 2015. Traders are waiting for cues from the rollover of monthly derivatives contracts after indexes hit a series of record highs this month. "Markets are essentially moving higher on global cues," said RK Gupta, managing director at Taurus Asset Management, adding that "a small volatility may be expected due to the F&O expiry today." The broader NSE Nifty was up 0.61 percent at 9,417.90 as of 0554 GMT, while the benchmark BSE Sensex rose 0.57 percent at 30,474.53. Infosys Ltd rose as much as two percent after the IT services exporter on Wednesday touted its strategy to hire and train 10,000 American workers over the next two years. Among losers, pharma company Lupin Ltd slumped to a near three-year low after it posted a 49 percent fall in March-quarter consolidated net profit, missing analysts' estimates. Dish TV India Ltd fell as much as 11.5 pct as it swung to a consolidated quarterly loss of 283.3 million rupees due to a fall in subscription revenue.Among losers, pharma company Lupin Ltd slumped to a near three-year low after it posted a 49 percent fall in March-quarter consolidated net profit, missing analysts' estimates. Dish TV India Ltd fell as much as 11.5 pct as it swung to a consolidated quarterly loss of 283.3 million rupees due to a fall in subscription revenue.